With Labor Day past and the school year beginning anew, the Sharpteam is changing their rhythms again and letting go of summer whilst embracing Fall. Before we let the sweet days of summer go, we are reflecting back on what turned out to be a grand time of celebration and adventure. Summer marked lots of new transitions for the Sharpteam. Andrew, who has been working from home since 2007 moved back out into the workplace and is commuting daily, while Liza and Cole had days together. 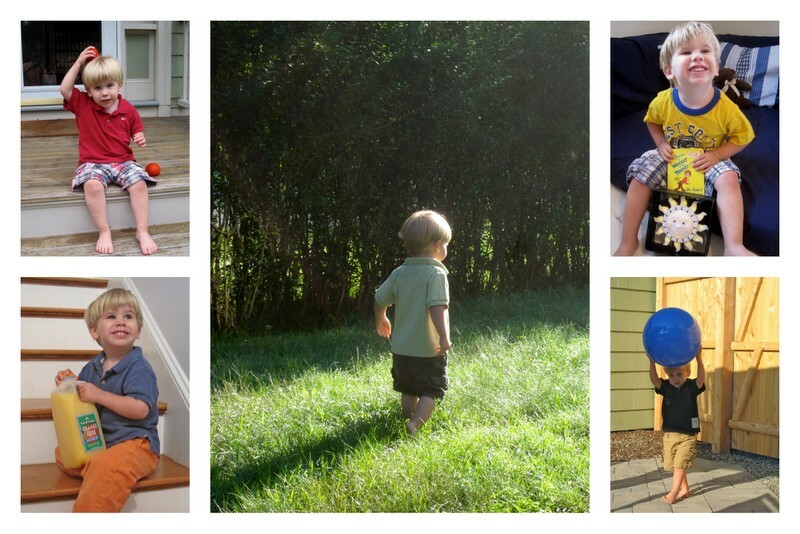 In order to bring intentional play and adventuring into our days, we celebrated theme weeks. I was not sure how I felt about it, but in retrospect, it was a great way to add a little incentive and learning into our days. And committing to blog about it made us accountable, so thank you. 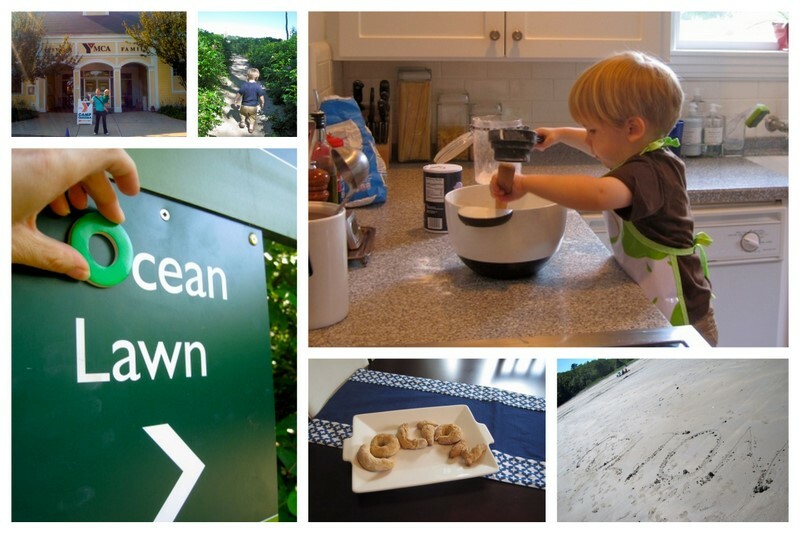 Here is a little reflection on the summer, with summaries and memorable moments. 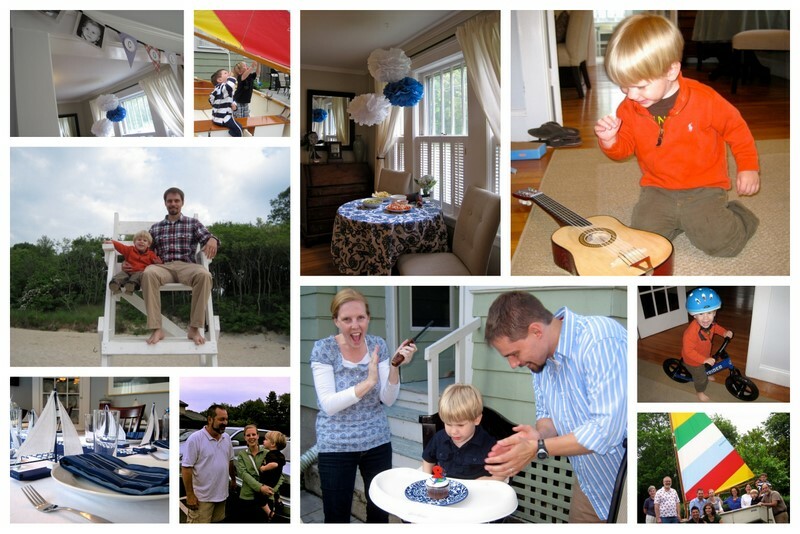 Summary – We had a wonderful birthday week with trips to the beach, the guitar man, and Halibut Point. Cole received two of his favorite things: a guitar and a bike. And we celebrated with a theme party for family. Memorable Moment – The glee on Cole’s face when he ran out of the house to see the boat the Papa Skip and Meme brought for his birthday party. Summary – We sang the alphabet song, played with letters, made alphabet pretzels and started going regularly to the YMCA. Memorable Moment – Colton’s pure joy in cooking, followed by the fact that at the end of the summer he not only knows the alphabet but has learned many of his letters. 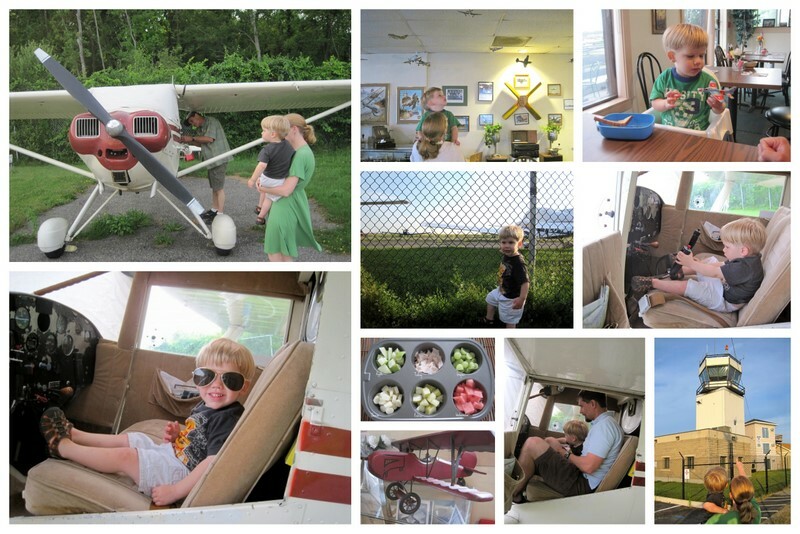 Summary – We watched airplanes take off and land at Logan from across the way, we ate breakfast at the local airport cafe, we had an improv-ed “airplane food” lunch and Colton got to get into an old airplane, a great week. Memorable Moment – Getting to get into an airplane that was made during WWII. 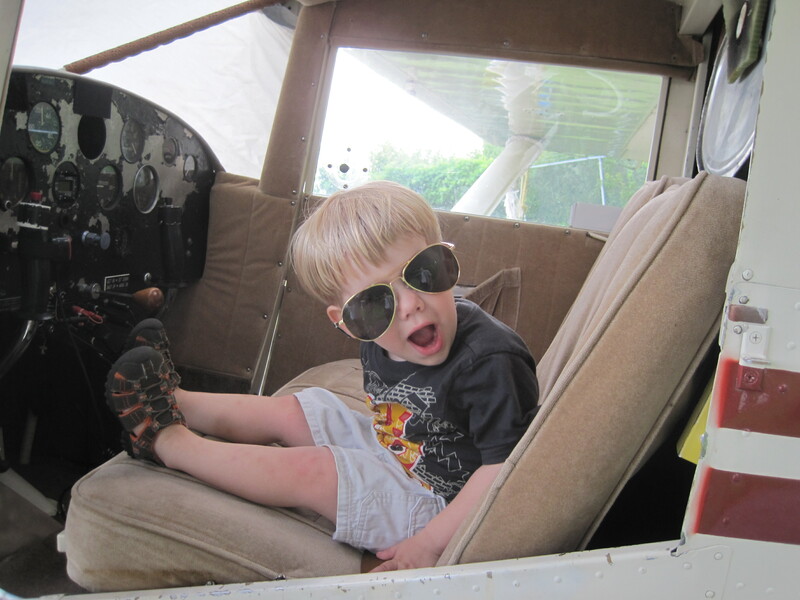 Cole was in awe and I loved when he wore those aviators! 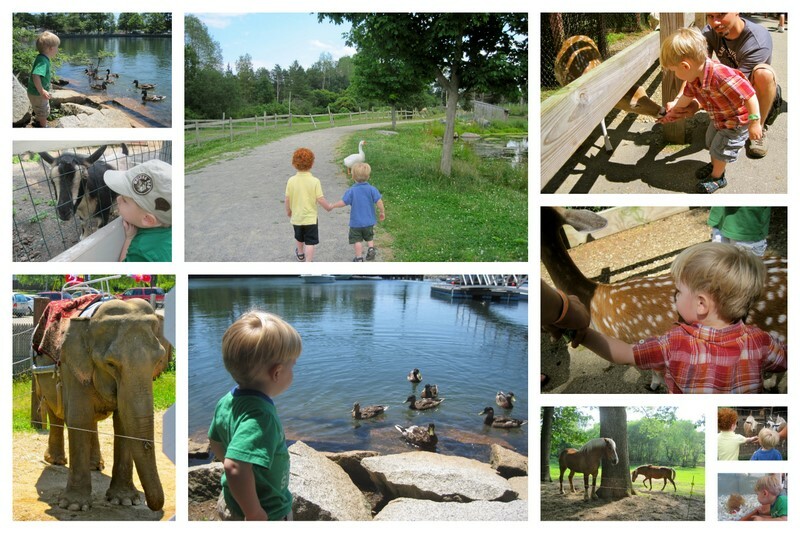 Summary – During animal week we went to two different farms, a zoo, the pet store and out to feed the ducks. Cole got to see all different kinds of animals. 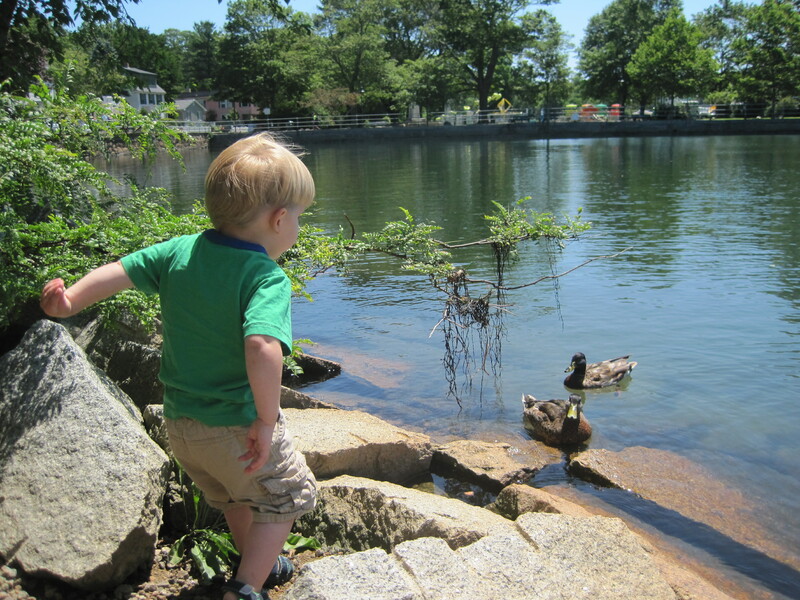 Memorable Moment: Cole found pure joy at feeding the ducks. He loved being able to throw and he loved giving them food. It was a sweet reminder to me of times as a babysitter feeding the ducks two decades ago. 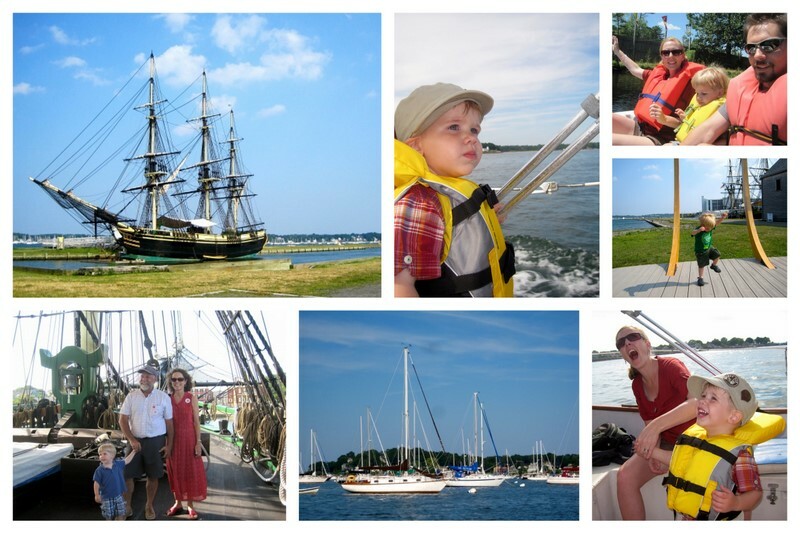 Summary – For Boat Week Cole and I ventured to the Salem Harbor together and explored the Friendship. We went on a paddleboat and on Papa Skip’s sailboat. Cole loves the water. 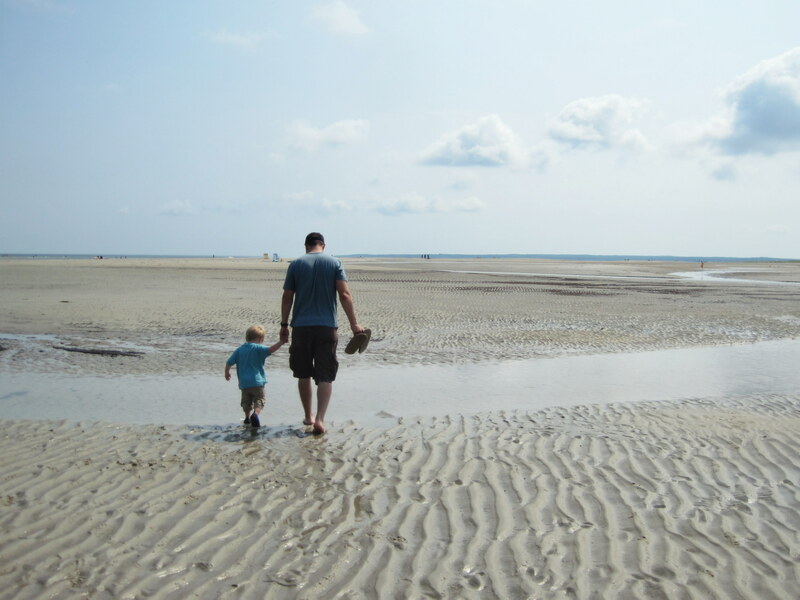 Memorable Moment – I absolutely loved following my boy as he explored the Friendship. 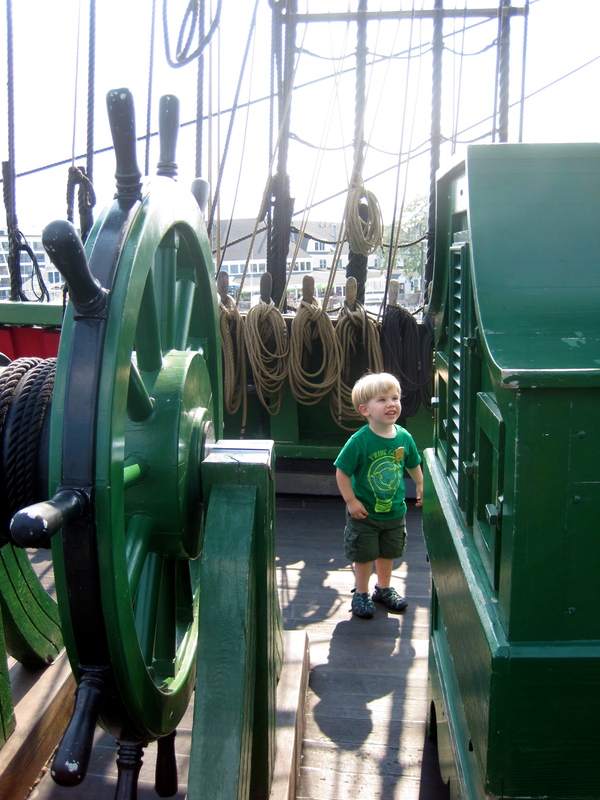 He is learning every moment and loved exploring the big boat. 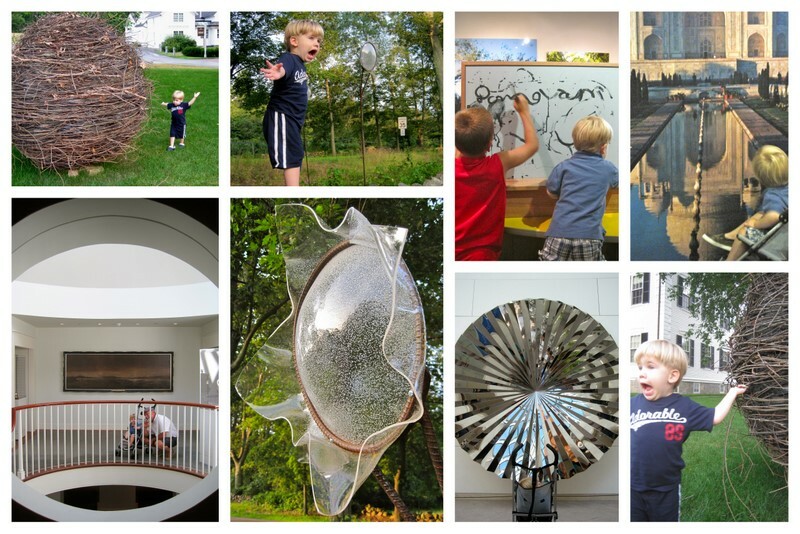 Summary – We explored art outdoors and indoors this week. Cole enjoyed it all. Memorable Moment – Cole fell in love with the stick ball pictured above. It sat in our village throughout the summer. Every time he saw it he had great joy. It was just removed. Cole continues to remember it and says “Stickball all gone.” Each time we pass its former spot. 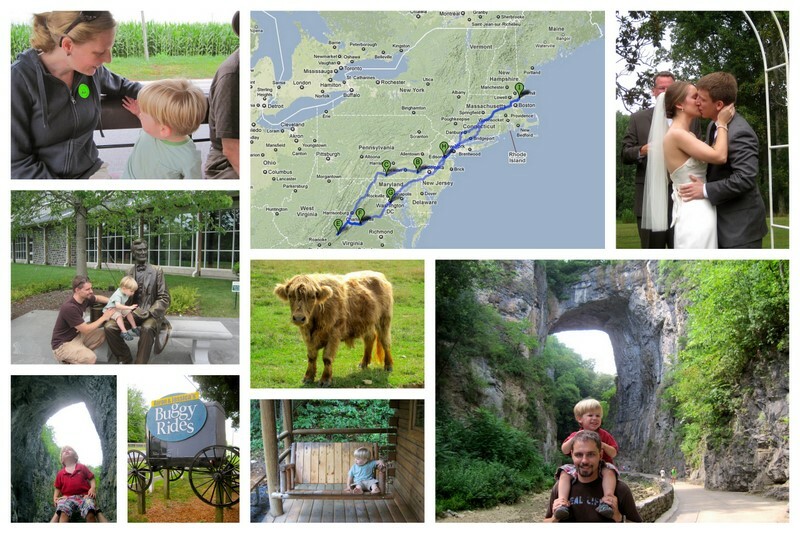 Summary – We went on a roadtrip as a family from Massachusetts to Virginia and back and it was a wonderful week! We camped and we stayed in a carriage house. We went for a buggy ride and we drove through New York City. We loved all of our time together and especially enjoyed the wedding of Ashley and Ross. Memorable Moment – Natural Bridge with Andrew and Cole was a complete and utter joy, it may have been my favorite moment this year. We love adventuring together and it is a lovely unexpected adventure. Summary – For color week we picked a color each day and then found that color throughout the day. So fun. Memorable Moment – My dad was here during color week, so when I look at these pics of Colton I think of my Dad. He spent lots of his time with us out on the patio or porch. For days after he was gone Colton would wake up and tell me that “Papa Brad on the porch.” Makes me happy. 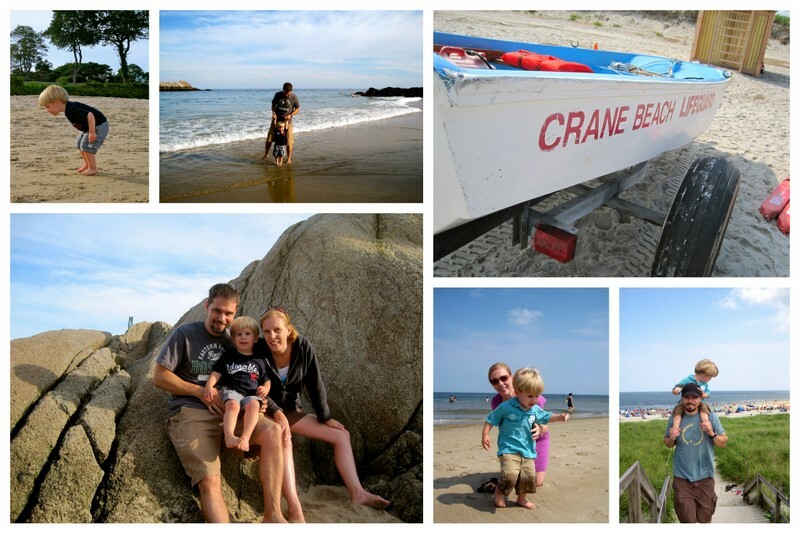 Summary – With the close of summer we thought we would have one last week of beaches. And it was perfect beach weather and a great week. Memorable Moment – Cole is a runner and he is running all the time. We are working on teaching him the importance of staying with us. But being on the beach was too tempting . . . he kept running off. We had a talk about the importance of asking for a hand when he went near the water. He gave in. As we were leaving the beach he ran up to a stream of water. 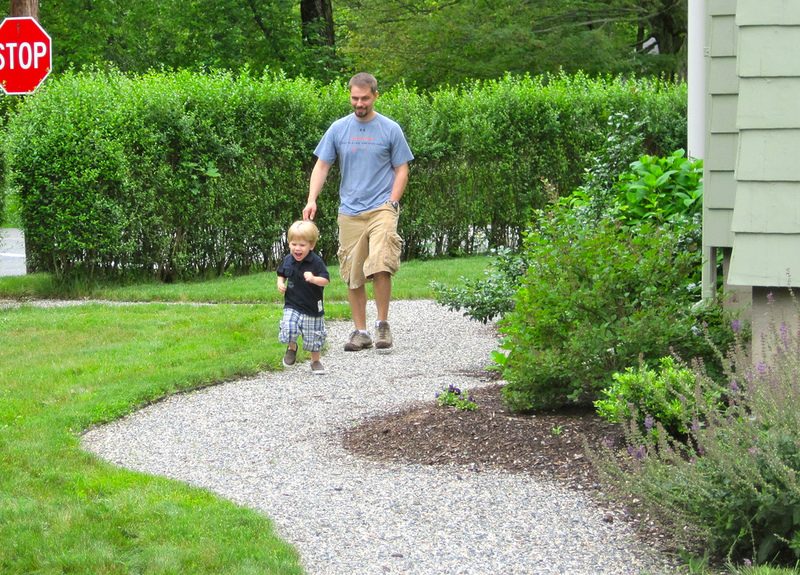 Stopped, and ran back to us, “Papa, hand?” Melt my heart, he is always learning! Good bye summer, it was a great adventure! 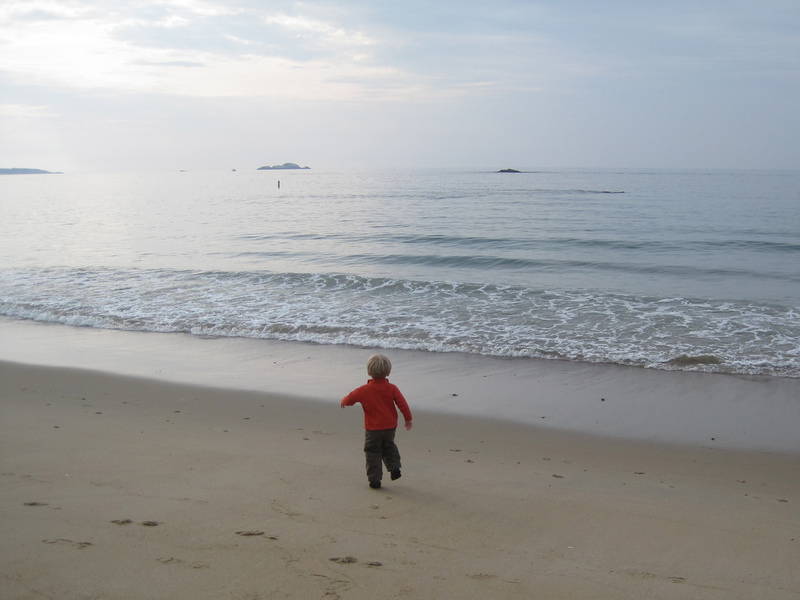 the picture of colton running to see the boat – precious, my favorite sharpteam summer photo! love y’all!